Curse working is illegal, and curse workers are branded as scoundrels and con artists. Cassel is the only one in his family who's not a curse worker. Although he's the "straight" kid in a cursed family, he killed his best friend, Lila, years ago. How he's having terrifying dreams of a white cat and suspects a secret plot between his brothers. He'll have to unravel his past to out-con the people he thought he knew best. I just finished this book. While I initially had a hard time getting into it due to lack of time, once I finally sat down I really enjoyed it. What I particularly liked was that the magic took place in today's real world. The only difference was that there was a ban on magic and that everyone wore gloves. On top of that, if you work a curse, you get a blow back. For example, someone who can tamper with memories and take them away, they too loose some memory. The more curse work you do, the more memory you loose. The book revolves around Cassel, a boy who has truly had a run of bad luck. Not only does he come from a criminal family, but he finds out he can't really trust his older brothers or mom. I won't divulge more information though! The author does not hold back on real life details and at times the book is a bit gritty (ie, showing of blood, vomit, fighting...). At the end of the book there is the suggestion that if you use your talent for good you don't experience a blow back and I would like to see more of that in the next book. 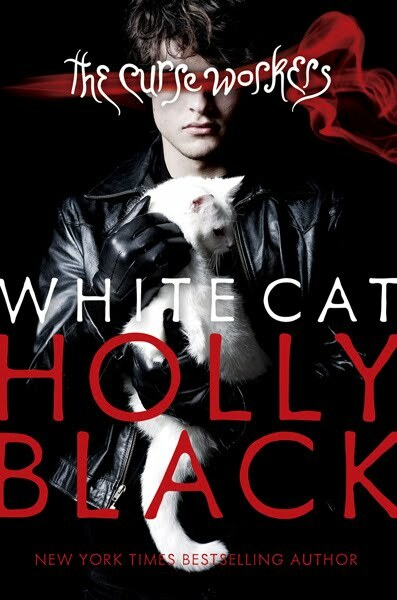 This is by no means a complete ending, much like all of Holly Blacks books, even her last book in Modern Faerie Tale has an opened plot, although it's much more concluded than book 1 and 2 in that series. I truly look forward to rest of the series! Again, I find myself wanting to give this book 10 stars. It's a rare find in so many ways and did not leave me very disappointed! Imagine it is 1890. No iPods, no cell phones, no jeans or tank tops, no electricity, and no indoor plumbing. This is the life that Gen Welsh has to endure for the whole summer, since her mother has decided that the family's vacation will be at a frontier-living fantasy camp near Laramie, WY. When they arrive, all modern conveniences are taken away, but Gen is granted her one wish: Clearasil. Secretly she has hidden her new cell phone in the product's box, and uses it to text her friends back home. They use her messages to start a blog, which takes off and gets media attention. Meanwhile, back at camp, a first romance and a good, clean girl rivalry are bubbling among the milking of cows and clearing of forest. As the families make their way through a difficult season, the teens discover their strengths and weaknesses. The first time I saw this book I thought it would be cheesy. I picked it up, flipped through it, read a brief part, then put it back. I came back though 2 times and ended up buying it. I can say, it was worth it! 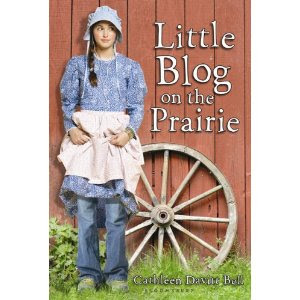 I grew up loving Little House on the Prairie books and this played off that in a way. However, it has a much more realistic take on frontier life. Besides the fact that the book had me laughing through a majority of it, it actually had a teens family actively involved in her life. Not only was it just the parents, but she had a younger brother too. The entire family struggles in this realistic frontier life as they learn the true hardships it brings, but grow together through the experience. That in itself is a rare find in the YA selection of books. Besides the main character and her family, other families are introduced at the camp. One of my favorite side characters is the Goth girl Kai. Each family is introduced and does take part in the book, some more than others obviously. While I could have done completely without the little romance that does take place (part of me feels it was just for drawing girls to the book), it doesn't overwhelm the book at all. In fact, the way Gen talks about her crush is very much like a 14 year old would. 1. If you are a thrill seeker, who loves horrors and wants to be chilled to the bone: read this book at night, under your duvet with a flashlight (preferably on a stormy night) and if you're feeling really dare-devilish, find that old teddy you used to cling to when you were a kid (the more worn looking the better) and stick it the end of the bed. . . trust me on this. . . This book tells the story of Beau, a young boy on the precipice of adulthood, who visits, almost every summer, his eccentric grandmother at her home on Gull Island with his family. Everything seems to be normal enough (by his family's dysfunctional standards)until Beau follows Sumter, his cousin to an old shack, 'Neverland'. From there, Beau is pulled into a world of gods, shadows and sacrifices - a place where 'Lucy' lives and the living scream. . .
As you've probably realised I fall into category 2 of the readers that I mention above. Ireland is having a rare heatwave, and after an exhausting few weeks I decided to treat myself with this book. I received this book for review a good few weeks ago, but I think you have to be in the right mood for it. Sitting out in the sun, with my dog resting on my lap, I cracked it open. Neverland, similar to Harper Lee's To kill a Mockingbird, has the unique ability to transport you to a very different place, where you can almost feel the heat of the Southern sun on your back, or hear the gulls over head - where you feel your world fall away and be replaced by Gull Island and Neverland. Neverland pulls you in and leads you by the hand down a certain path, where we see Beau as part of a normal dysfunctional family trying to figure out the world of adults and his place within that world - it is then you realise that the path you've been lead down has brought you to a very dark place (think 'lord of the flies'), where as John Betjamen says in his poem Original Sin, "the devil walks". Although I really enjoyed this book, there were one or two things that didn't sit right. I realise (and big spoiler here) that Sumter was meant to be different and I realise the negative influence he had on the entire family dynamics but I think that Sumter would have had a stronger impact if he had been likable at the beginning. I think a transformation from this to the 'priest' would have been more horrifying, rather than portraying Sumter as a sociopath from the beginning. Similarly I felt Uncle Ralph was portrayed as quite villainous (which I realise from a child's pov he would seem to be) and I felt there could have been scope to show us more about him and make me at least care when he died (it's a bad sign when you're rooting for the homicidal bear?). Also I felt that Neverland lost a significant amount of its magic when more and more people knew about 'Lucy'. I felt the intensity and fear lessened when Beau's two sisters became involved and the intense intimate fear which the novel has throughout disappears once the adults (not including the granny) become involved and aware of Neverland. 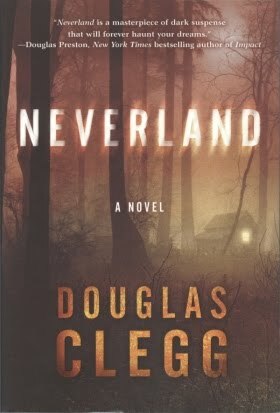 That being said, Neverland is a page turner, it keeps you in the moment right till the end and I really enjoyed it (and am glad I read it during the day) - Douglas Clegg is an excellent writer and I think that overall the book is a great read and would (and have already) recommend it to others. There are authors that have done books from another character's point of view in a story. Orson Scott Card did it for one example. Now Stephenie Meyer is following suit with her new story about Bree Tanner. The Short Second Life of Bree Tanner: an Eclipse novella covers like the title states, the short life of Bree Tanner as a vampire. Stephenie Meyer did a great job creating Bree's personality in this story. When I first read about Bree in Eclipse, a long time ago, I remember liking Bree's character although she is in it for just a second at the end. This story really sums up how living like a newborn was like. Stephenie showed us a bit through Jasper's eyes but this small novella really shows the curiousity that stems from these newly created vampires and what precautions were taken from Riley and Victoria as they planned their revenge against Bella and Edward. This novella creates a bit of sympathy in your heart for Bree. It's like when you watch Extreme Makeover: Home Edition on ABC, that tears a bit at your heartstrings. Learning through Bree's eyes, the thirst she has for blood, the curiosity it is to be a newborn, and living in squalor the way she is, makes you wish she had lived at the end of Eclipse to see how she'd really turn out. Would she have gone off on her own? Would she have tried the vegetarian lifestyle the Cullens led? Sorry for the short review. This is a short story and I think if I say anymore, you won't feel that same emotion that I felt through Stephenie's writing and through Bree's eyes when you read through it. You can read it for free on breetanner.com. 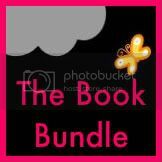 Also, if you purchase the book, $1 of every book sold will be donated to the American Red Cross. I love the idea of it and I also have to say, "Don't you just love the cover of this story?" I know I do. I hope you go read it. It's really quick, only 178 pages long and still addictive to read. If you like the idea of "odd" abilities, then go after these books! These are about a group of teenagers that have special abilities. But wait...not during the "official" time of day we know as the 24 hour period. In fact, there is another hour during the day. The Secret Hour. It's a time when it turns midnight in Bixby, Oklahoma that only these people that have these special abilities have and are also the only ones who are able to interact with this time of the day. Only to get these powers, and have this privilege, you must be born right on the second of midnight. Pretty cool, but also pretty rare. Although it's really cool to be able to have powers during a time of night that no one cares or even knows you're out using these powers but there are dangers that also come with the secret hour. Creatures that only people haven't seen for hundreds of years come out. These were the first books I picked up by Scott Westerfeld (author also of Uglies, Pretties, Specials, Extras, and Peeps). My little brother recommended them to me. It took me a while to pick them up, but when I was out of things to read, I went to the library and got them. They are really fun stories to read. The last book can get a bit dark at points in the story, but I really liked them. It was almost like I could have these powers that these teenagers in Bixby have...or I wish I could have. One is a "seer", one is a type of math genius, another can hear thoughts of everyone around her, one can fly (bonus fun one! ), and one can use electricity during the secret hour--which you can find electricity during that time. Scott wrote these in a great third person view from each of the Midnighters. And each character has a symbol that associates them with their power. And kudos to Scott for finding (or even making up, which I doubt) way too many thirteen letter words for me to count in these books. Thirteen is a big number, it hurts the "demons" in the secret hour and is able to give the Midnighters something to fight against them with. These are books that are just super fun, easy reads that you could pick up over and over again and still have a great time with each of the characters. I love the way it was written, I love the fact that it's a different kind of superhero story, and I love the fact that he went through all the trouble to find all the thirteen letter words. I don't think I have that kind of stamina to do that with the dictionary. I'm glad my brother recommended these to me. I'm glad his English teacher his Sophomore year of high school recommended them to him. I'm glad I picked these up. And I am just starting the Uglies series, so we will see how those go, but if I liked Scott Westerfeld in The Midnighters, I am pretty sure I'll like the Uglies. And I'm pretty sure that if you get these books just for a fun read, you'll like them too. Kendra and Seth Sorenson are a normal, average sibling rivalry pair that are sent to stay with their Grandma and Grandpa Sorenson in Connecticut one summer while their parents go on a "no kids allowed" cruise. When arriving at their destination, they see how much land their grandparents have and can't believe they wouldn't want people to visit them to share their wonderful land with everyone as visitors. On the way in, there are signs warning of "Danger," "Turn Back Now" and such that would drive people away from their home. But when the kids get there, there is no television, just a playroom they sleep in filled with old toys and books. As Seth is the adventurer of the two, he wanders off one day and gets himself in a mess with a witch out in the forest that was off limits to them both. Thus, begins their adventures in finding that their grandparents are really caretakers of a preserve for magical creatures called, Fablehaven. Many wonderful and dangerous creatures roam the preserve under a contract that keeps everyone but the fairies and a golum that does chores around the preserve and yard out of the yard and away from the house and locked up in the preserve. But someone wants out--or should I emphasize--someones. The journey they begin in book one all the way through book five really gives the fantasy world something new to look at through these characters eyes. Kendra and Seth battle witches, trolls, demons, centaurs, fairies, naiads, dragons, and even their own kind throughout this series. Brandon Mull did an amazing job with this series. I remember seeing the book at Barnes and Noble thinking, "I think I'd like that book". Just by the cover. And after buying it and reading it, I was hooked. I kept on buying each book and reading them through. My husband too--in fact, he'd steal it from me as soon as we got the book if I hadn't read it through yet. The storyline for all of Fablehaven is very well planned out. From beginning to end, as the reader, you travel with Kendra and Seth as if you're the fairy on the shoulder just watching all the adventure take place and wishing it was you as one of the characters. I wonder throughout these books, "Now how did he come up with that creature? What inspired him to write that kind of thing?" I should have asked him these questions when I met him last summer before moving away. But one spot in the fifth book, there are some strange names that are throughout the entire book and my first thought to those was, "How do I pronounce that?" or "I wonder if he asked his kids what he should name this creature." When I met him last summer, I met his kids too. And when his son walked into the room, I told him, "You're daddy must have made Seth look like you." Brandon's response, "Yeah, he kind of does look like him huh?" The characters are loveable even though you want to smack both of them around sometimes for the stupid behavior they pull or the too good of behavior they pull. Kendra is the shy, sweet sister who is okay with obeying all the rules and not getting into trouble. Seth, on the other hand, well let's say if he doesn't have his emergency kit, he's in BIG trouble. He likes trouble anyway, gives him a sense of adventure. But just watching them through the story and learning things about themselves and their potential is just wonderful to read. I don't want to give too much away about any of the characters or the story itself. I really suggest reading these! If you liked Harry Potter or the Percy Jackson books, you'd like these. They're fun, family friendly and just a thrill ride waiting to happen in each book. 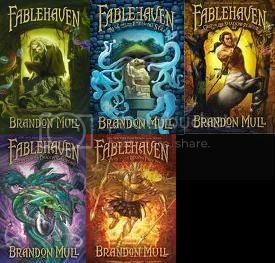 Out of all the fantasy young adult books I've read (including Harry Potter), Fablehaven is my favorite of them all. Other books by Brandon Mull include, The Candy Shop Wars, Pingo, and he will be releasing a new series called, The Beyonders, March 2011.